Christmas will be here before we know it. Are you prepared for it though? Because last year Americans took on $1000 worth of debt during the Christmas shopping season. As a couple who budgets for everything, Christmas is no exception. In this post, we will share how we are preparing for Christmas on a budget. So how do we prepare for Christmas on a budget? First and foremost, Omar has gift anxiety as he calls it. Meaning he gets really stressed out when it comes to choosing gifts for people. So typically that leaves me to choosing gifts for everyone but myself. I enjoy it, but it can be overwhelming at times. However, I get a thrill out of trying to come in under budget. I usually start by making a list of everyone we’re getting a gift for. Next, I decide how much I will spend for each person. Then I list possible gift ideas for each person. This makes it easier once I actually start my shopping. It makes me feel like I’m not all over the place and it helps Christmas shopping go a lot faster. How do I determine our budget? We buy for quite a few people since there are plenty of kids in our family. Thus, everyone only gets one gift except for our household, which is us and our son. We typically agree on an amount that we will spend on each other, which over the years have ranged from $60 to $100. Yes, sometimes this can take some creativity to come up with gift ideas. For our son who is almost 3-years-old, I usually use his blow money to buy his Christmas gifts. And I tend to get him a couple of things he needs and maybe 1 or 2 toys. I figured I’d enjoy doing it this way before he’s old enough to start asking for things! As far as how much we spend on others, I’ve always budgeted $20-$30 per kid, and adults are usually $15-$20. For the kids, although giving money would be the easiest, especially if they’re older, I prefer to try to find them a gift. Why? Because I typically can come in under budget! How do I stick to our budget? Sticking to our budget is the only option. I have found it to be easier when we’ve saved the money ahead of time. That way I don’t have to possibly miss a good deal because I didn’t have the money to buy the item. Since we don’t use debt to pay for anything, yet alone Christmas gifts, we cash flow the purchases. We will typically have all the money needed by Thanksgiving. If you can’t save the lump sum you need from one or two checks, then I would suggest utilizing a sinking fund. And you need to make sure to give yourself enough time to save up by the time you’re planning to start your shopping. How do I come up with Christmas gift ideas? Just as most people do, I typically try to come up with something that the person will like or sometimes I ask them. But as mentioned before, it helps when I list out my gift idea(s) for each person. Then that’s what I will specifically go looking for in the store or online. If you’re interested in doing the first part of the Christmas Wish List or the extended version, you can ask the person to come up with several ideas and then you choose which ones to get. Or you could come up with all the ideas yourself. Obviously, you don’t have to do everything that’s listed. It’s just a guide to try to help. I feel like if the Christmas Wish List is used wisely, then it could be fun as well as a budget saver. Buying Christmas gifts for your loved ones is not an excuse to go broke or go into debt. So make sure to keep that in mind as you’re preparing for Christmas on a budget this year! Now that we’re halfway through October (where is the time going?! 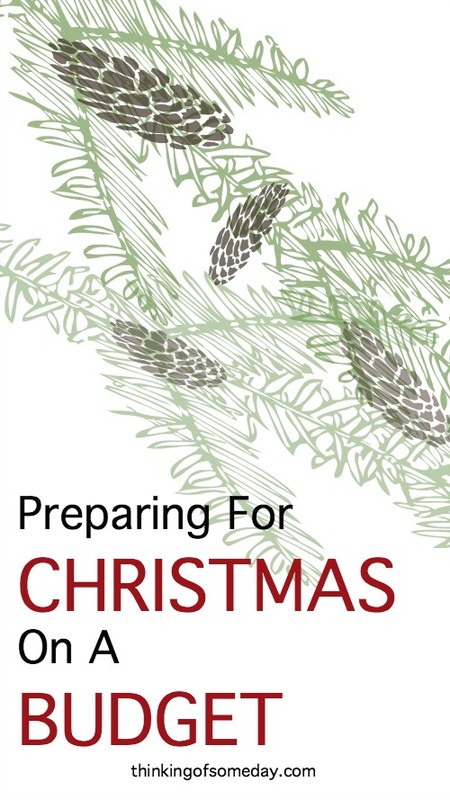 ), have you started preparing and saving for Christmas yet? Hey! We’re Omar + Kim. 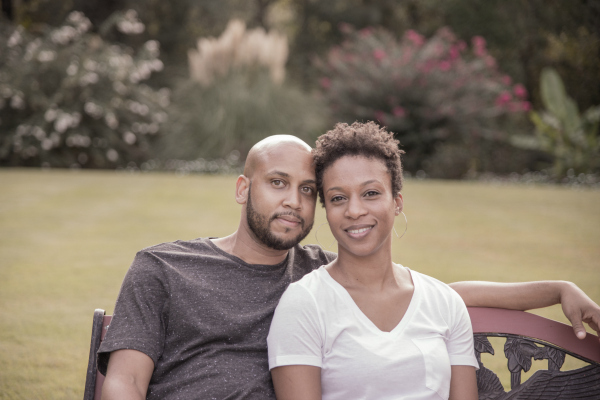 A married couple making someday a reality all while balancing family + finances + avoiding debt. Find out more about us, here.